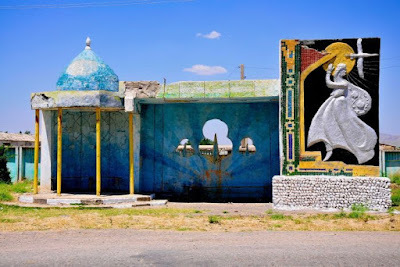 It seems that it is not just Uzbek Journeys clients who are drawn to the the wonder of Soviet bus stops. 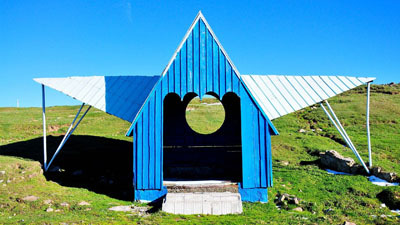 First came Christoper Herwig's best seller Soviet Bus Stops. Herwig covered more than 30,000 km by car, bike, bus and taxi in 14 former Soviet countries discovering and documenting these unexpected treasures of modern art. Now Germany-based freelance photographer Peter Ortner regales us with marvellous images of bus stops from Samarkand to Yerevan. As he writes "Bus stops were built for a mundane purpose and for a temporary use of time: the process of waiting...Buses were the most important means of transport, especially in rural areas. It was only a wide network of bus stops that made mobility possible. 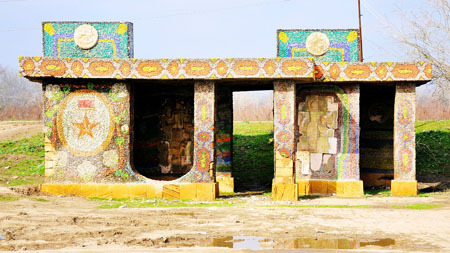 These structures also took on other functions, depending on their location. They were meeting places, landmarks for drivers, shelter for shepherds, and a symbol for those returning home". Out on those country roads of the former Soviet Union states lies a treasure trove of unexpected waiting zones - a wide-ranging panoply of socialist architecture. 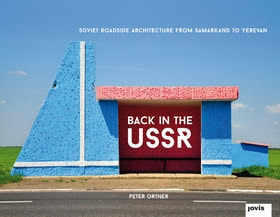 Taken both in Central Asia and in Eastern Europe, in Azerbaijan, Moldova, Uzbekistan, Armenia, Georgia, Ukraine and the Crimea peninsula, Ortner’s photographs illuminate the imaginative variations on this vernacular architecture as well as the more expected works of socialist modernism. His shots present an endless variety of forms and colors, an eclectic micro architecture whose neglect and weathering somehow adds to its charm. 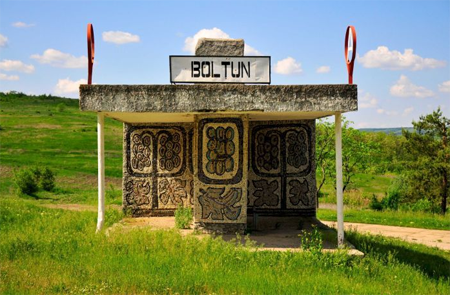 In a regime often characterized by standardization and creative repression, anonymous architects and artists created original, expressive work in the form of bus stops, buildings for everyday purposes. With its roadside architecture - sometimes brutalist, sometimes not - resembling waves, UFOs and octopuses, the Soviet Union, it now seems indisputable, was light years ahead of its neighbours in bus-stop design. You can listen to an interview with Peter Ortner, published on the ABC's website in February 2017. And you can buy the bilingual book (German/English) from Jovis publishing. Below are a few favourites.